ALLOW me to comment on the positive side of Papua New Guinea’s membership to the Asia-Pacific Economic Cooperation (Apec). 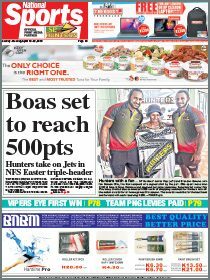 First and foremost, PNG is fortunate to be in a club of economies that contribute over 50 per cent of global trade. The Apec group aims to be in the forefront and champion the freer and liberalised international trade agenda advocated under the rules-based World Trade Organisation (WTO). According to international trade theory, some trade is better than no trade and free trade isbetter than tariff-distortedtrade. Free trade allows the market forces under a competitive environment to bring the prices of goods and services down, hence results in welfare gains. When trade barriers (both tariffs and non-tariff ) are erected, this normally results in welfare losses to the consumers, as they will pay a much higher price for the goods and services, reducing their disposable income to consume another good or service. Being in the Apec club, PNG stands to benefit or is already benefiting from any relevant areas of cooperation and technical assistance available to member economies. It gives the members the leverage to hold bilateral meetings within and outside of Apec to resolve trade wars in a friendly manner. PNG exports most of its commodities to Apec member economies and it is crucial to safeguard its market-access interest from emerging threats of product modification, substitution and import replacement and inward protectionist policies. Every farmer who grows cocoa, coffee, copra, vanilla , oil palm or supply fishery or forestry products or an alluvial miner selling gold and so forth, which are destined for the export market, operates under the mercy of international trade whether one realises it or not. It is through international trade that most foreign reserves are earned while foreign loans are simply mortgaging future earnings to use it at present. So Apec or WTO is relevant and the outcomes aims to safeguard the welfare of the consumers if every country trades evenlybut that is not the case inreality. Therefore it is necessary to build strategic trade blocks to protect the interest of members as it trickles down to the masses of each country or economy. In 2018, the challenge facing PNG as the host of Apec is allowing all members to put on brakes and take stock in terms of gains or losses associated with domestic manufacturing and jobs. The US, through President Trump, has applied brakes and slapped new tariffs on China as a standing case. The leaders’ outcome statement should reaffirm the Bogor goals and review the process or achievements if every economy is on track to achieving a freer and open trade by 2020. 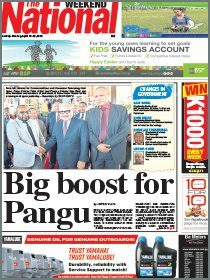 So Apec is relevant and beneficial to PNG.